Preheat oven to 350. Spray bread pans with non stick oil or line with parchment paper for easy removal. In a seperate bowl, mix together the ground flax seed and water. Set aside and allow to rest for 10 minutes. In a large bowl, mix the mashed bananas and the applesauce. Add in the brown sugar, flax, and almond milk. Mix well. Add flour, baking soda, nutmeg, cinnamon, and salt. mix just enough to combine, do not over mix. 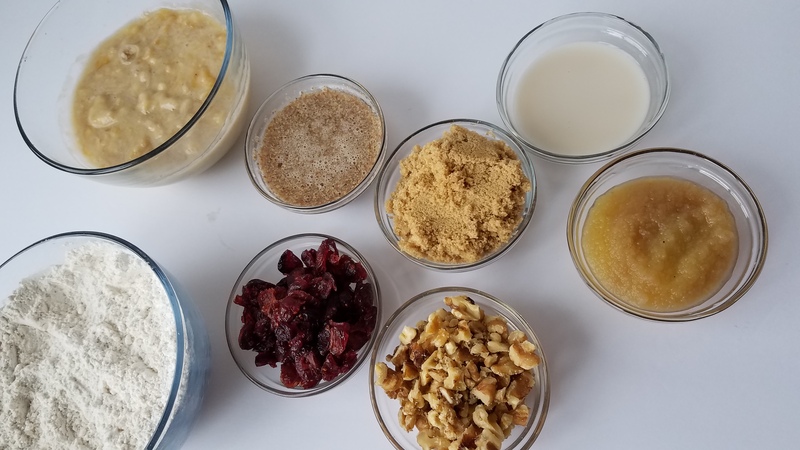 Add your walnuts and dried cranberries to the mixture. Pour bread mixture into bread pan and bake for 50-60 minutes, or until a toothpick comes out clean. Allow to cool completely before cutting and serving. Enjoy! This time of year, we love to make breads for breakfast. 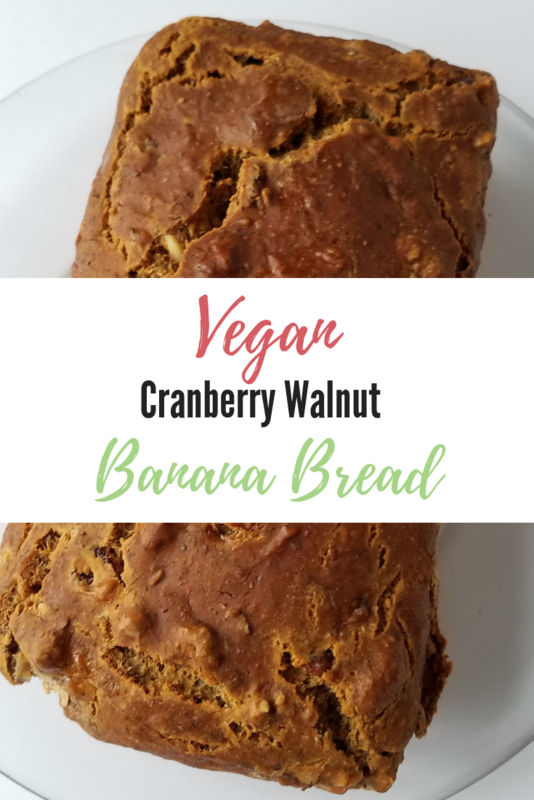 Banana bread has always been a personal favorite of mine, and it is very easy to create a vegan banana bread that does not use eggs or milk. 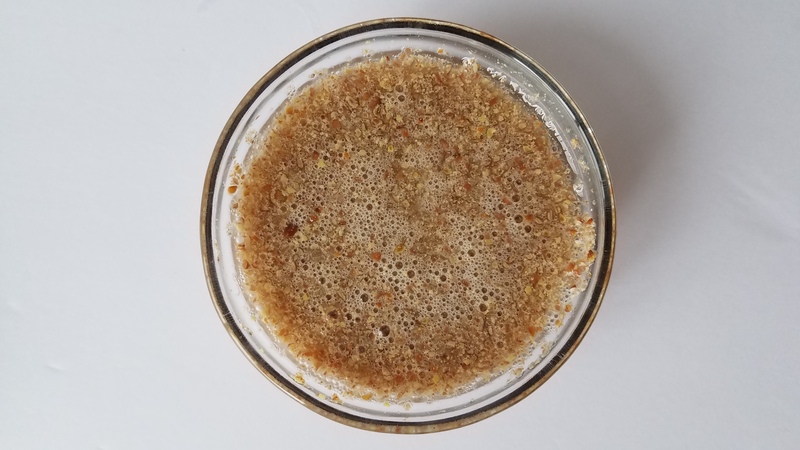 For this recipe we replaced the egg with a flax egg, which is just ground flax seed mixed with water. When you allow it to set it turns into a thick mixture similar to the consistency of egg. 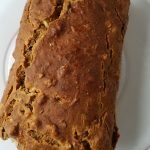 Flax seeds have an abundance of nutritional benefits to offer, which turns this banana bread into not only a delicious snack or dessert, but also a healthy breakfast alternative. Flax seeds are a good source of fiber and omega 3s, and we try to incorporate them into at least one meal a day. Instead of cows milk we use almond milk for our banana bread. Any non-dairy milk alternative should do. Instead of oil we use applesauce, which gives it a more dense, softer texture and a better flavor. If you don’t have applesauce on hand, feel free to use a neutral oil such as canola or olive oil. 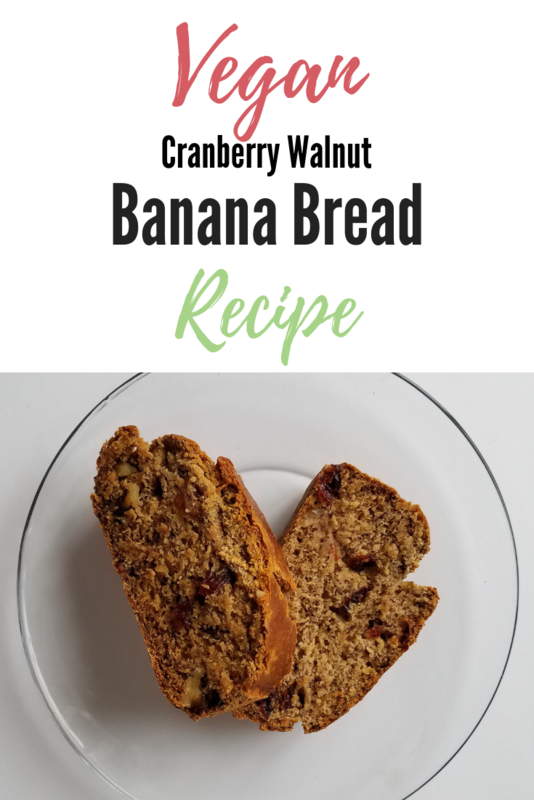 You would use the same amount of oil in place of the applesauce, so 1/3 cup of oil or 1/3 cup of applesauce for this recipe We also added walnuts and cranberries to this recipe. 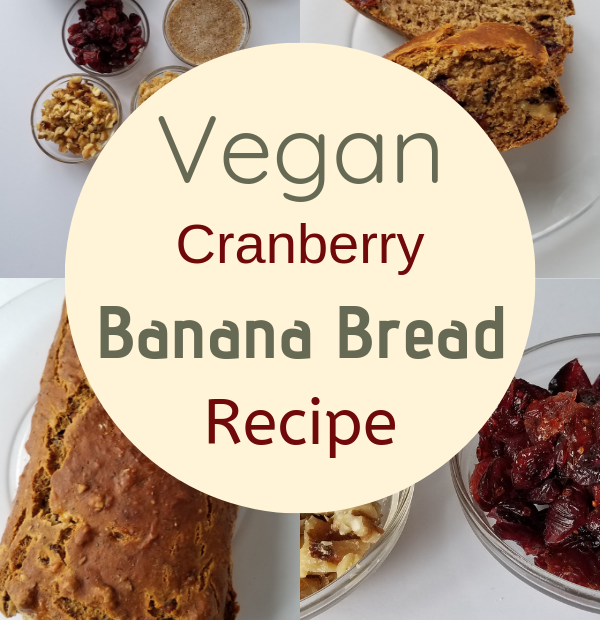 This adds to the flavor and nutritional benefits of this vegan banana bread. We haven’t tried using fresh cranberries in the bread. We believe this would add to much moisture to the bread and may make it soggy. 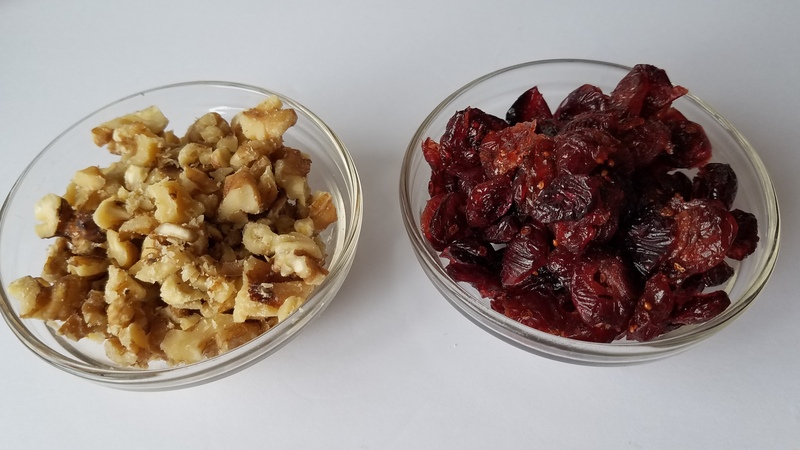 If you don’t have cranberries or walnuts on hand, you could substitute with any dried fruit and/or nuts or even chocolate chips. 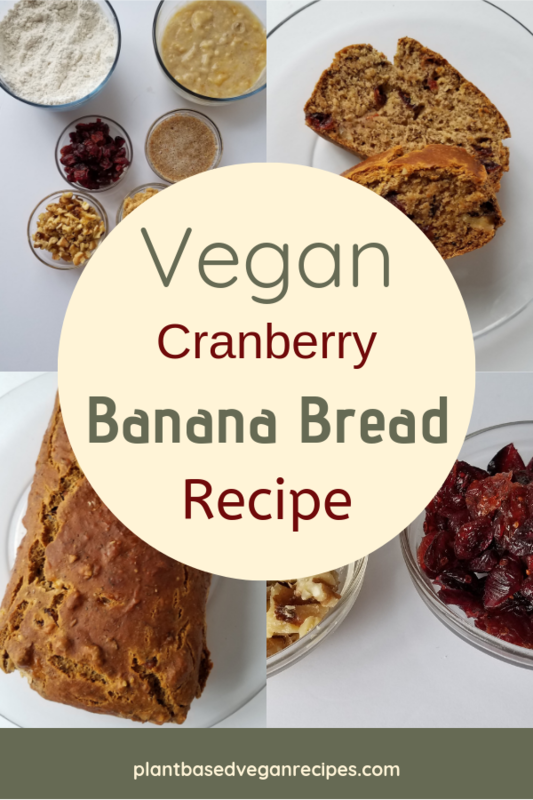 Our vegan banana bread is the perfect make-ahead breakfast recipe. We make a few batches in the beginning of the week and serve with fruit every morning. The kids love it and it adds a little convenience to our busy mornings. We really hope you enjoy our vegan banana bread. Drop a comment below to let us know what you think!